Nepal is an archaeological paradise also rich in biological diversity and home to a wide variety of flora, fauna and wildlife. Rich culture, art and history attract visitors each year, where they can see various religions coexisting harmoniously among the multitude of ethnic groups that form the people of Nepal. 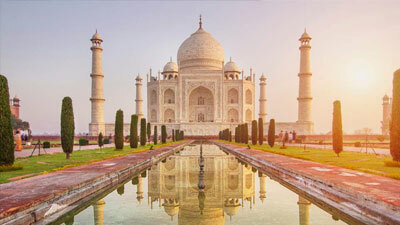 Discovering the best of Nepal in short period of sightseeing tour we will be able to explore the imitation sights of Kathmandu to the jungle flora and fauna of Chitwan, and beauty of Pokhara city on the lap of Himalayas. See more. Adventure Gorkhaland provides assurance to all the adventure and explorers with assortment of support, services and guiding through procedures with ensuring every penny worth and success in objective you yearn for. 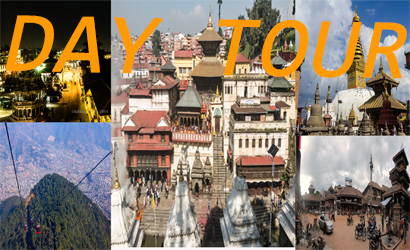 We have designed an array of Tour packages to give you easier options to plan your tour in Nepal. Greenery, rivers, villages, farms and beautiful mountain scenarios. Experience and explore the view of Annapurna (8091m), 10th highest mountain in the world. Beautiful lush green forest, rice field terraces and farmhouses. Day1: Arrival in Kathmandu Airport. Day 03: Drive Kathmandu to Chitwan 146 Kms. /4 Hrs. Day 05: Chitwan to Pokhara [160 Kms/5 Hrs. After your arrival at Tribhuwan International Airport, you will be warmly greeted by our office representative and transferred to the hotel. This Buddhist Stupa Swayambhunath Stupa is said to be 2000 years old. The Stupa which forms the main structure is composed of a solid hemisphere of brick and earth supporting a lofty conical spire capped by a pinnacle of copper gilt. Painted on the four sided base of the spire are the all-seeing eyes of Lord Buddha. 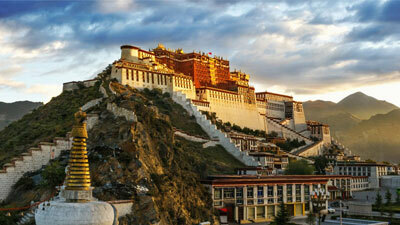 This hill is a mosaic of small Chaityas and Pagoda temples. Patan also known as Lalitpur, is the city of fine arts, enclosed within 4 stupas said to be built in 3rd century AD, by Emperor Ashoka. You will see the Durbar square; the Krishna Temple built by Kind Siddhi Nar Singh Malla, Hiranya Varna Mahavihar and Mahabouddha Temple. A trip to The Tibetan Refugee Camp and the Handicraft Center will also be done while visiting Patan, where you will witness the hand weaving of Tibetan carpets and mounding of metal statues. 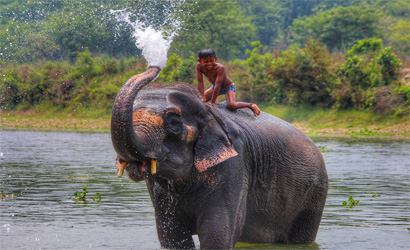 The Royal Chitwan National Park, the lush Valley of Chitwan situated in the foothills Terai region, South West of Kathmandu, houses the first National Park of the Kingdom. The Royal Chitwan National Park is famous for its variety of Wildlife especially the Great Indian One Horned Rhinoceros and the elusive Royal Bengal Tiger. There are many Wildlife Lodges/Camps operating Safari Style Lodges within the park area and offer Elephant excursions in the heart of the Jungle to view game. Excellent opportunities for bird watching and excellent chance to see four kinds of deer, wild roar, rhinoceros, monkeys, sloth bear, gaur and many other smaller mammals. Today, you will walk all around the park rich in different types of floras and faunas taking a jeep or on elephant's back and while returning you will also see an elephant bathing. Here one can also enjoy bird watching in the river shore and you spot more than 250 kinds of birds in the park. Transfer to Pokhara. Departing from Chitwan with beautiful memories of witnessing different species of plants, animals as well as birds, we will move to Pokhara taking around 5 hours. 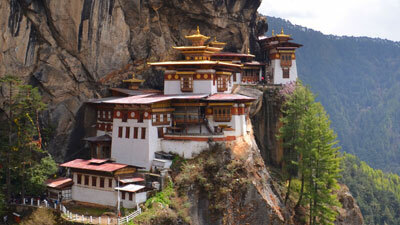 From Mugling, we will drive to west into the mountains, passing different rivers. 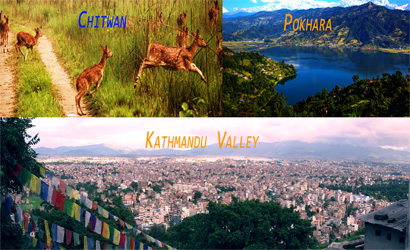 Pokhara, also known as the 'Lake City' is one of the stunning places on earth. 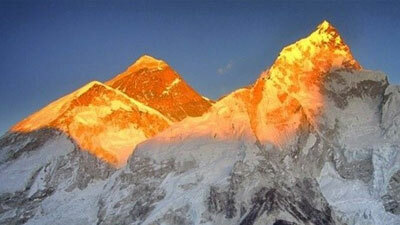 Here you will see wonderful views of Dhaulagiri, Machhapuchhre, Manaslu, Annapurna range and several other peaks. After arriving in Pokhara, we make a sightseeing trip and then transfer to the hotel. The rare combination of snow-clad peaks and snow fed lakes and rivers has helped to make the valley of Pokhara (210kms/131 miles from Kathmandu) one of the most picturesque natural attractions in the kingdom. It is located virtually in the geographical center of Nepal, there may be no other place in the world from where Great Himalayas peaks can be admired from such a close distance. The Bindhyavasani Temple on its well-kept platform overlooks a modest amusement park. Phewa Lake, skirted by a large number of unpretentious lodges and simple restaurants, is the most congenial spot for visitors.